Does the term “Family Command Center” make you giggle, or is it just me? I picture myself behind the hull of a big spaceship or a submarine, shouting commands to my family. In reality, a family command center is a great way to create an organized space for all the happenings of your family. When everyone is headed different directions, has paperwork, lessons, mail, coats and who knows what else, your family command center will keep you organized. Setting up a family command center is so easy! In fact, once you set it up, you’ll wonder why on earth you didn’t do it sooner. You’ll know exactly where your “crew” is headed and what’s on the agenda. You’ll have important information right at your fingertips. When it was only my husband and I, we could keep track of the day’s agenda. We’d know what was going on and where we were each headed. If we felt like pizza for dinner, we’d order it up. No frantic calls about being late for dinner or not knowing where the other was. Nope, we were only responsible for ourselves! Part of a being a mom means you put on your “responsibility hat”. You need to take command of the cruise ship and steer your crew in the right direction. 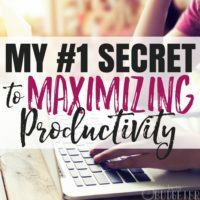 Now, don’t get me wrong—I’ve never minded being in charge and coordinating moving pieces (I’m a bit of a nerd that way), but when you’ve got two kids to keep track of and a business to run, life tends to get a little complicated. Use these tips to set up a family command center to keep your family organized and ready for the next adventure. A mud room or small area by your entry way works great as a family command center. You’ll need a wall and space to hang the items in your center. Your command center gets even better if you have an area to put up baskets and set out supplies, but don’t sweat it if you live in a small space. At minimum, you need a wall, a basket and hooks. Other than those items, you can build out your command center to be as elaborate or as simple as you like. The idea is just to keep the hub in a high-traffic area like near the main (or most used) door way or congregation area. Now, you may be tempted to hide your command center in an office or a corner of your home. The problem with this plan is stuff still ends up tossed next to the door, on the counter or wherever you (and your spouse) toss stuff. So, if you want your command center to be really effective, pick a high traffic spot – one you will always see and feel compelled to keep organized. Don’t worry—there are really cute, “Pinterest-pretty” family command center ideas out there. You aren’t going to end up with an eyesore in your entry way. The trick is to keep it organized. One universal need in all family command centers is a calendar. Pick a calendar that’s really pretty and that you love, but also aim for function over form. You want a calendar with BIG squares to write out plans, jobs, and other important to-dos for ALL family members. You may even want to create your own calendar and print it out, so you get exactly the size you want. If you’re a planner addict like me, you don’t have to write every appointment down twice for yourself. Use your family command center calendar only for the items that effect your family members, such as lessons, appointments or vacations. If you’re using the calendar for younger kids, there’s really no reason to schedule out the whole year. Having a simple “week view” is perfect for kids. As they get older, you may want a month-long overview, so they start to understand and read the calendar. They’ll be able to count the days until Christmas or spring break all by themselves. Make the calendar fun—include birthdays and important dates you’ll all want to be aware of. Decorate it with stickers or use other visual tools to mark special days. Give each family member their own color so your kids (and you) can clearly understand what everyone’s schedules look like at a glance. Your calendar will let you know where everyone is and what you need to plan for. Another great family command center tool is a communication board. This might be a whiteboard, a chalk board or a notepad. The idea is to leave a space where family members write messages back and forth and communicate with each other. 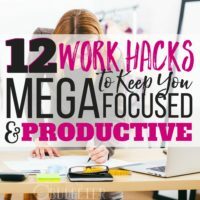 Add reminders when you need to (“Don’t forget your lunch!”) or include to do lists, goals, your family motto or other important pieces of information. Hang the communication board low enough for every family member to view and reach! Hang up backpacks, bookbags, coats, jackets and even purses in your family command center. Everyone should have their own hook or cubby, so they can easily hang their items up (and find them later). You may also want to include hooks for important items like keys. If you always hang them on the hook by the door, you’ll never have to scramble and search in the morning! Hang the dog’s leash and bags near the door as well. 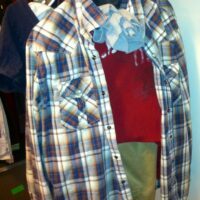 You may also want to include a few items you need, but often forget like an umbrella, hat or gloves in the winter. Every command center needs a clock. While digital clocks are fun, if you’ve got school age kids in the house, you may want to opt for an analogue clock. This helps learning time-tellers understand how to read the time and familiarize themselves with clocks. Look for a clock featuring a second hand as well—great for timed tasks! Some family command centers even feature several clocks in different time zones. This is a great idea of you have family serving overseas, or if grandma and grandpa live far away. You will always know what time it is for your loved ones and kids can start getting used to the idea of time zones. You’ll want baskets in your command center. Baskets or paper organizers help you corral supplies and paper in your command center and keep it nicely organized. Make it a policy to open the mail right away and sort it. Junk mail gets tossed immediately, designated letters, magazines and other important pieces of mail get sorted into the receiving family member’s basket, and bills are prioritized – NOT forgotten about and lost. Having a “landing spot” in your command center is nice if you’re in a hurry – but it should be temporary, or else the mail (and other messes) can quickly pile up. Instead, use command center baskets for items that need to immediately be returned to backpacks or go out the door with your kids (and spouse). If there’s a piece of paperwork or mail you need to review or sign, take care of it immediately. You may want to create a spot for envelopes, stamps, pens and stationary in your command center. This makes it easy to send correspondence and deal with mail the moment it arrives. Sunglasses, lip balm, gum and other “on-the-go” items should have a spot in your command center. If you use a purse you might keep those items there, but I find carrying a wallet and taking only what I need for each trip is a much lighter, easier way to travel. You can (and should) definitely include your meal plan in your family command center. If you’re running late, or your husband’s running late, you’ll know exactly what to pop in the oven or put in the crockpot. As you create your weekly meal plan (more on meal planning here) take time to jot it out on a sheet to tack on your bulletin board. Post your grocery list on your board as well. This lets every family member add items to the list as they run out. You’ll save money because you’ll be following one of the biggest money saving tips for grocery shopping: always shop with a list! Your command center will help you save by keeping you organized and providing all the resources you need right at your fingertips. To keep your family command center effective, keep it organized. Don’t let paperwork and other items pile up where they shouldn’t be. Add it to your weekly cleaning checklist—grab all the coats and extras that made their way to the command center and do a quick organization. It only takes 5-10 minutes a week to set up your command center and keep it organized. You’ll simply need to pick it up and then jot down your plan for the week. If your kids have jobs, add them to the calendar (or include a jobs checklist in the center). Update the information and you’re ready to go for the week. When you have an organized family command center, you might end up feeling like you’re driving a big rig or commanding a starship. You’re in control of your family’s agenda items. You’ll know where everyone’s headed and what they need to do. With a family command center, your family will feel prepared to head out the door with every item they need—backpack, coat, shoes, keys. You’ll get a clear idea of what they day holds and what you need to accomplish! Your kids will learn valuable organization skills (as well as an understanding of time and calendars). 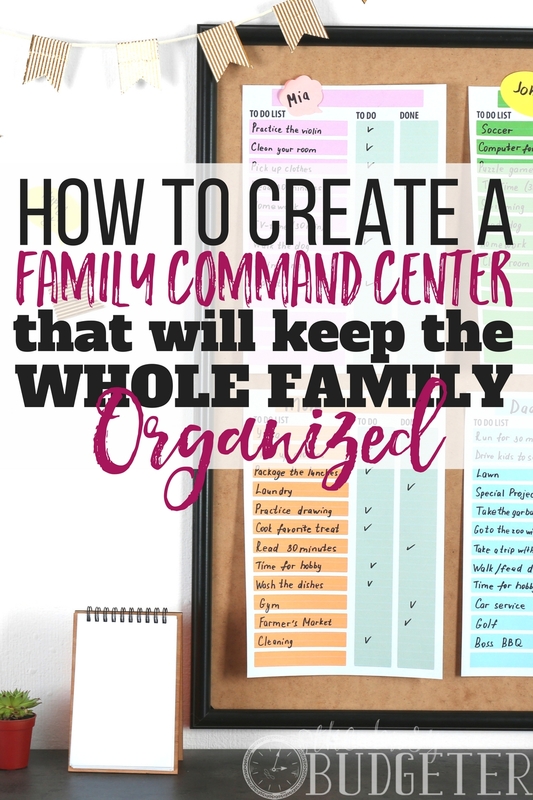 Take your family command center for a test run and try some of these tips to keep it organized, operational, and beneficial to everyone at home! Do you have a family command center? What’s the most important tool you use to keep your family organized? I love the idea of a command center for my family! 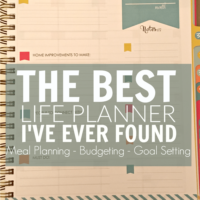 I’m a list and planner addicted, as well. My lists are everywhere and a command center will have them all in one place. It could be a huge blessing to get more organized at home. And even my husband might learn where to look for important dates that are coming up. Haha! List and planner addicts are welcome here 🙂 You’re my people! I love this! We were just talking the other day about doing something similar because the kids are always scrambling at the last minute for something they forgot, or the mail gets mixed up with something else and gets misplaced. This is going to be our next project! The command center is a game changer… You’re gonna love it!